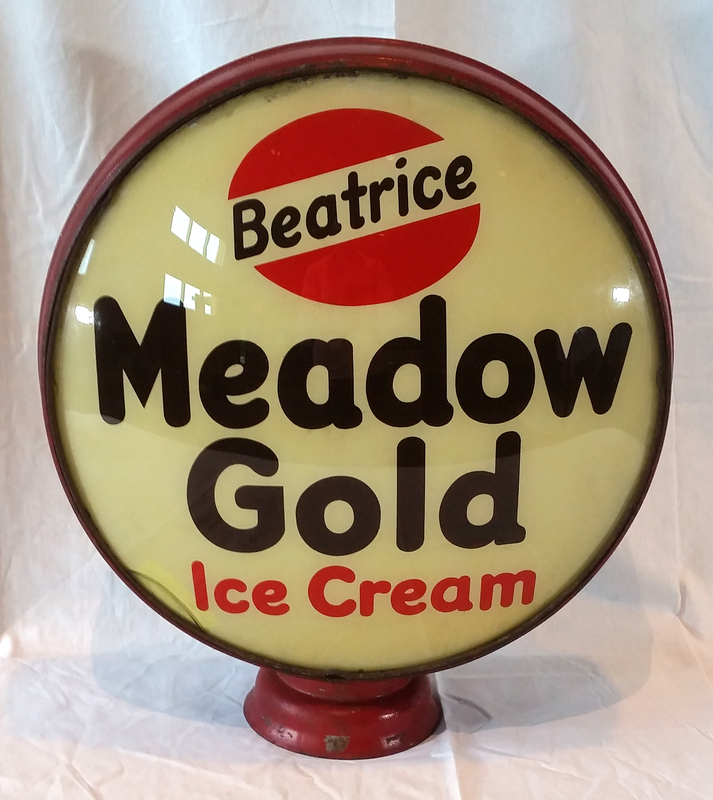 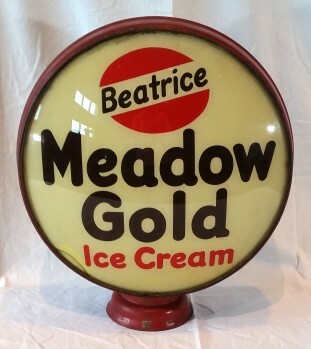 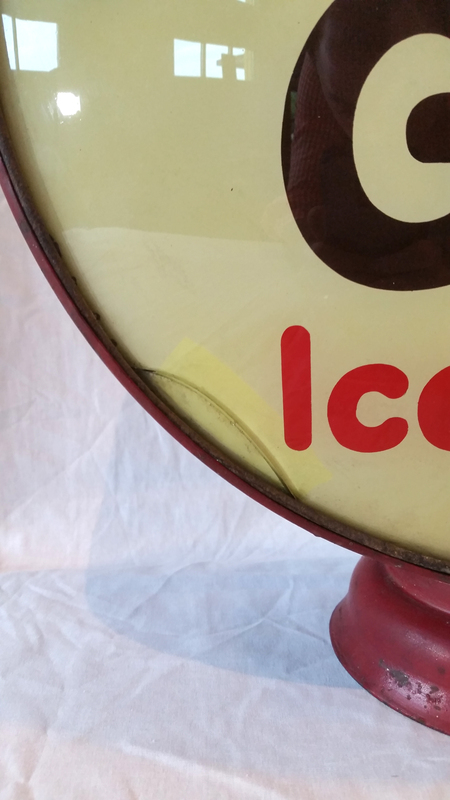 Advertising Globe for Beatrice Meadow Gold Ice Cream. This globe has only one lens, and the lens has one small area that has cracked at around 7 o'clock on the lens. 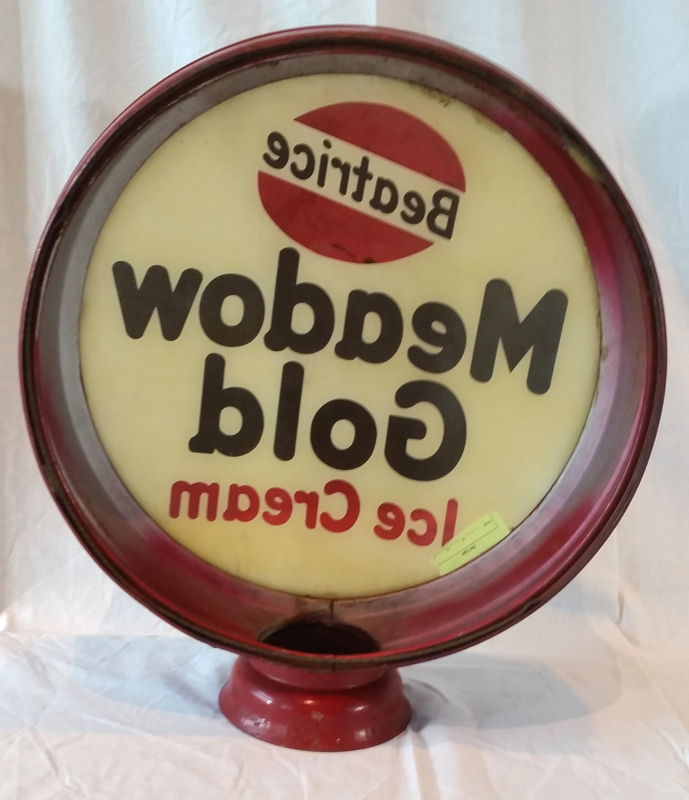 Globe is a 16.5" metal globe with 6" base.